Romance is no stranger to the “Sweetest City in Texas.” Build your ultimate couple&apos;s weekend with late night drinks, luxurious spas, and candle-lit dinners. Check into your favorite Sugar Land hotel and freshen up for an evening out on the town. Drive down to Sugar Land Town Square and enjoy al fresco dining, unique boutiques, and couple activities like painting classes at Pinot’s Palette or date night cooking classes at Sur la Table. Cap the night off by relaxing to vinyl records and a wine pairing with a light bite at Vino & Vinyl or classic cocktails and live entertainment at Prohibition-era styled bar, The Sugar Refinery Grub & Grogs. Wrap your hands around a warm cup of fresh coffee and enjoy a Southern Fried Arnold – two biscuit halves topped with hand-battered chicken tenders, two poached eggs, and covered with country sausage gravy from The Toasted Yolk for an early morning breakfast. Afterward, relax at Hand and Stone Massage and Facial Spa with a couples massage, facial and pedicure. From a relaxing day at the spa, take a walk around Sugar Land Town Square and then enjoy a romantic Valentine’s Day Dinner special at Perry’s Steakhouse. Finish off the evening with an LED fountain show and an unforgettable performance at the Smart Financial Centre at Sugar Land, where entertainment comes in a variety of forms from Off-Broadway shows to international artists. 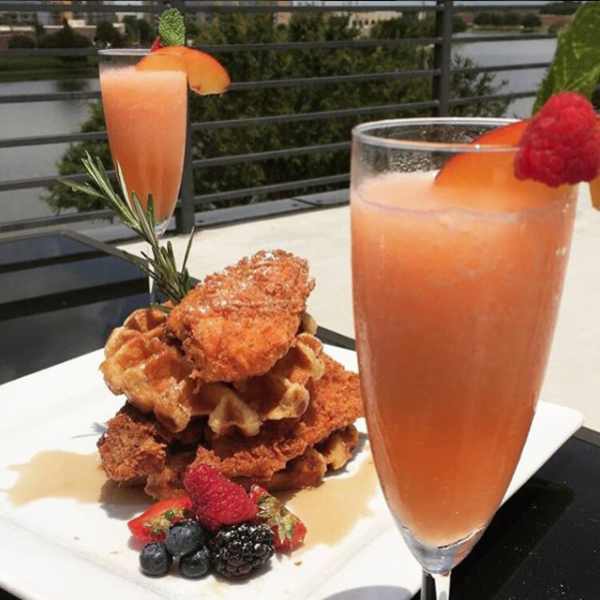 Stay in and exchange breakfast for brunch with chicken and waffles and mimosas at The Roof on the Lake. Later, satisfy your culture craving and visit the Houston Museum of Natural Science at Sugar Land to experience sparkling geodes, the microscopic world, and more! End the romantic getaway with a stop at one of Sugar Land&apos;s many dessert spots, including Stacked Ice Cream. Try an extra sweet combo by sandwiching your favorite ice cream flavor with a macaron! For more sweet eateries click here. Make sure to follow us on Facebook, Twitter, and Instagram for all the latest news on things happening in Sugar Land. Our handle is @VisitSugarLand. Tag us in your posts and share your experience: #VisitSugarLandTX, #SweeterinSL. For more information, contact us at 281.275.2045 or tourism@sugarlandtx.gov.